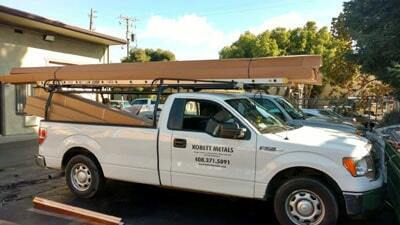 Kobett Metals, located in Campbell, California, has been providing exceptional quality copper building products to contractors, builders and homeowners throughout the USA since 2001. Our business started locally here in Silicon Valley but we’ve now grown to become one of the largest distributors of copper building products and supplies in the state of California. In addition to being a manufacturer and fabricator of copper products and supplies, we’ve also partnered with other leading manufacturers within the industry, and are now the number one distributor of Berger copper products in the state. What gives Kobett Metals such a competitive advantage in our market is our ready-to-ship, in-stock, inventory of copper products and supplies. We can meet your demand and on your schedule. We can also manufacture or fabricate many items to your specifications. Contact Kobett Metals today for a free consultation and price estimate. All products can be provided as Standard Type or Custom as requested. While Kobett Metals can ship anywhere in California and the U.S., we also have a thriving local business, providing delivery and installation to customers in San Jose, Silicon Valley and throughout the San Francisco Bay Area. What Should You Consider When Choosing a Roof for Your Home?